Zebedee won 6 from 7 career starts and this Carpe Jugulum won over 900m. 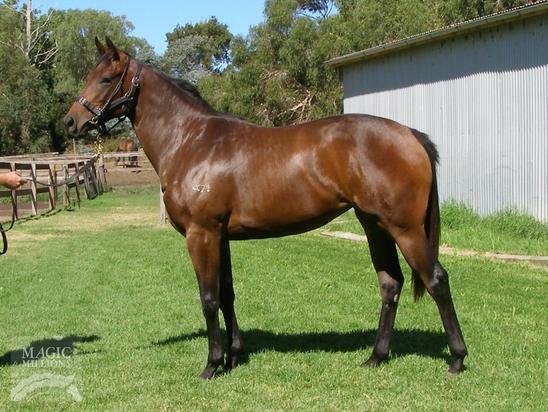 From 2 to race from the family Peppermint Lane has won 3 races and her brother has been placed in Singapore already. Peppermint Lane (f. by Mint Lane). 3 wins to 1300m, 3d MRC Ian Miller H.
Ankh Morpork (Fantastic Light). 2 wins at 1400m, 1600m, HKJC Elderly Services H., 2d MVRC ADE Turf Equipment H., 3d MVRC Bill Stutt S., Gr.2, MRC Andelosia 2YO H.
Exotic Escape. 6 wins to 1300m, ATC Top Ten Testa Rossa H.
Cap Dancer. 2 wins at 1400m, 1600m, 3d AJC Orchard Hills H.
Calypso Choice. 5 wins-1 at 2-to 1400m to 2017-18 in Aust. Miss Alliance. 2 wins at 1200m, 1350m in Aust. Booster. Winner at 1200m in 2018 in Malaysia. My Destiny. 3 wins at 1400m, 1500m in Philippines. Carpe Jugulum. Winner. See above. Twenty to Life. 3 wins from 1300m to 1600m in Aust. Keyhopper - Key Winner (H.K.) (Key of Luck). 2 wins-1 at 2-at 1650m, 1700m, HKJC Tsui Ping H., 3d Leopardstown Tyros S., L, HKJC Liaoning H., South Bay H., Garden of Eden H., Jardine H., Long Valley H.
ROYAL APPLAUSE (Waajib). Top of The 1997 International 4YO+ Classification (Sprint). Champion Older Male Sprinter in GB in 1997. 9 wins-4 at 2-at 5f, 6f, £374,437, Haydock Sprint Cup, Gr.1, Newmarket Middle Park S., Gr.1, York Gimcrack S., Gr.2, Duke of York S., Gr.3, Royal Ascot Cork & Orrery S., Gr.3, Coventry S., Gr.3, Doncaster Cammidge Trophy, L, Vaux Samson S., Newbury Boxford 2YO S., 2d Newmarket July Cup, Gr.1, 3d Prix de l'Abbaye de Longchamp, Gr.1. Sire. LIGHT OF SUCCESS (Acclamation). 7 wins at 1100m, 1200m in India, Bangalore Winter Million, L.
IN COMMAND (Sadler's Wells). 2 wins at 2, £125,165, Newmarket Dewhurst S., Gr.1, Goodwood Selsey 2YO S., 2d Doncaster Champagne S., Gr.2, 3d Newmarket Middle Park S., Gr.1, 4th Newbury Greenham S., Gr.3. Sire. Melodian. 11 wins from 7f to 10½f, Doncaster Randombet.com Spring Mile H., Charnwood Forrester H., 2d Newmarket Charles Heidsieck Champagne H., York Newton Investment Management H.
Honour System (King's Best). 7 wins from 1900m to 3400m in GB, France and U.A.E, Meydan Double Millionaire H., Longines Prima Luna H., Maisons-Laffitte Prix Deep Roots, 3d Marseille Borely Prix Georges Trabaud, L, Meydan Peugeot H., 4th Compiegne Prix Pelleas, L.
BLUE STAR (Majority Blue). 8 wins-1 at 2-to 1200m in GB and Malaysia, Selangor TC Yang Di-Pertuan Agong Gold Cup, L, Singapore TC Lion City Cup, L-twice, 3d Royal Ascot Wokingham S.H., L.
PORTESE (Gulf Pearl). 5 wins-1 at 2-at 7f, 1m, Redcar Gold Cup H., L, 3d Newmarket Bunbury Cup H., L. Sire. GULF KING (Kings Lake). 4 wins-3 at 2-from 6f to 1¼m, Curragh Beresford S., Gr.2, Sandown Classic Trial S., Gr.3, 3d Longchamp Prix de l'Esperance, Gr.2. CANADIAN STAR - TEA FOR TWO (H.K.) (Northfields). 3 wins from 1600m to 1800m in GB and HK, Hong Kong Derby, L, 2d Hong Kong Gold Cup, L.
PRINCE BLESS (So Blessed). 4 wins, Aintree Ladbroke Hurdle H., L, 3d Sandown Mecca Bookmakers H. Hurdle, L.
HAWK ISLAND (Hawk Wing). 10 wins from 1600m to 2100m, £2,720, A$830,940, ATC Parramatta Cup, L, 2d ATC Metropolitan H., Gr.1. SEADIVER (Gulf Pearl). Winner at 2, Newmarket Somerville Tattersall S., L, 2d Newbury Horris Hill S., Gr.3, 3d Redcar Andy Capp H., L.
Bold Secret (Auction Ring). 17 wins in GB and Italy, 2d Rome Premio Montecitorio, L.
GOLD CRYSTAL (Made of Gold). 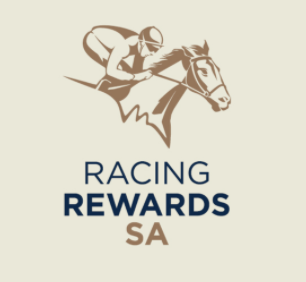 9 wins-4 at 2-from 1000m to 1800m, A$341,150, SAJC National S., Gr.3, Balcrest S., L, 2d SAJC Smoke-Free SA S., Gr.3, 3d MVRC Anthea Crawford S., Gr.2. Producer. BELL TOWER (Lyphard's Wish). 3 wins-1 at 2-at 6f, 7f, Phoenix Park One Thousand Guineas Trial, L, 3d Curragh Matron S., Gr.3. Producer. ANCIEN REGIME (King's Best). 4 wins-1 at 2-at 5f, 6f, £107,513, 26,000Dhs, Sandown Sprint S., Gr.3, Lingfield Forest Row S., Newmarket Coral.co.uk Sprint H., 2d Newcastle Chipchase S., Gr.3. SIGN OF NIKE (Mistertopogigo). 4 wins-3 at 2-to 1300m in France, Italy and Germany, Milan Premio Eupili, L, 3d Baden-Baden Maurice Lacroix Trophy, Gr.2. ARMONDO (Mehmet Bora). 5 wins at 2 in 2017 in Turkey, Istanbul Tay Deneme, L, 2d Ankara 15 Temmuz Sehitleri Kosusu, L.
LONGIRL SISTER (Longleat). 4 wins at 2 in Belgium, Boitsfort Prix Rene Visart de Bocarme, L.
LONG GIRL (Longleat). 3 wins at 2 in Belgium, Ostende Criterium National des Pouliches, L, 2d Groenendael Prix Edmond Drugman, L.
SABAZIA (Vitiges). 9 wins to 1400m, Rome Premio Aurora, L, 2d Criterium di Roma, Gr.3. Producer.